I first saw The Secret movie when it came out in 2006. With all the hoopla around the series premier, and it’s heavy promotion from Oprah, I wanted to understand what this was all about. While it wasn’t life changing at the moment, it resonated with me. Then a couple of years later, I discovered a book called, Think and Grow Rich by Napoleon Hill. Napoleon had written this New York Times Best Seller in 1937. I found his story fascinating. I would incorporate some of this philosophy into my life. Then some time had passed and I was looking for more. I went back to Rhonda Byrne, the author of The Secret and realized she had written another book on gratitude, called The Power. Learning to be more grateful, thankful for all the blessings in my life. I could feel how just making a conscious effort daily to be thankful really began to show even more abundance coming into my life. I even started the 365 Grateful Challenge. Forever a seeker for more, I searched YouTube and came across the video that explained how Esther Hicks was a narrator and star of the original version of the film The Secret, as well as a central source of the film’s inspiration. 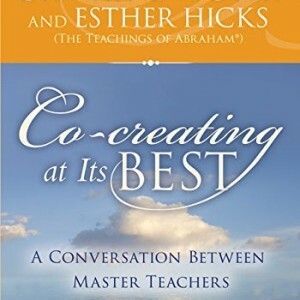 Who was Esther Hicks and this entity she called Abraham. I was definitely intrigued. Thus my journey into learning more began. Abraham Hicks – How To Date??? Hi Ramona, it was so great to be there! Thanks for the photos! It was magnificent! Thank you! The Grove Park Inn! A favorite destination. I plan on attending next time! I am so appreciative of the amazing weekend with Abraham! What a wonderful experience, thank you! Hi Esther and Abraham, any chance of you coming to New Zealand? Grove Park Inn - nice. Love the rocking chairs by the fire place. all is well. Enjoy our beautiful city. I hope you can get out and sample our great food scene. Sorry about the cruddy weather. So many happy memories! Can't wait till next spring! Would be there now but... Easter! It was wonderful and magical today 🙂 I cannot wait until tomorrow! Oooh Asheville Asheville, one day I WILL meet you and those I know who live there!! I don't know how I don't know when, I just know I will!! EnJOY!! Would LOVE to attend one of your events!! This is so cool to think about in this way! I love it so much! Hello- I have read many books and listened to many conversations...I have a question- “how does Abraham relate the LOA to the other Laws of The Universe?” Thank you. I wish that was true . We live in low subconscious mind believing in a separated personality which is creating negative from soul oneness. Pure joy! So much appreciation! Oh my gosh ! You were disembarking and then I got on for a visit of the ship today. 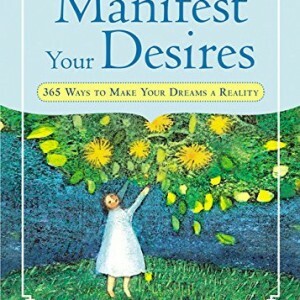 Sooo close, would be great fun to do attend a cruise with AbrahamHicks in the future. It was a wonderful experience for me...thank you, Abraham Hicks family!!! Were you ever in Greensboro NC back in the mid 70'S? Spoke at a community college perhaps? I went to an event to hear a spiritual speaker ( I was about 22 then) Just wondering if it was you. Thank you for a wonderful cruise Esther!! It was an amazing time!! Amazing memories, people and time. Can’t wait for our next one! So excited to see you guys in May!! Come to Bocas del Toro for a workshop, we can help host!!! How beautiful!!!! I cant wait!!! One of my favorite islands. Earth is beautiful; we really need to take better care of it. Beautiful. I'm retiring to Belize in 10 years. Maybe I'll do a cruise then too. Absolutely beautiful! I love you Abraham!! If you stop at Anguilla, go to Embers restaurant! Amazing food and stunning sunset! Oh how I wish I could join a cruise with you!!!! Hugs from Puerto Rico. 🇵🇷 Hope you loved your stay. We hope to have your conference sometime in the island. We really need inspiration and guide to rebuilt our island. So glad to see the island is in good shape again. Only good thoughts for my husbands home port! Such a beatiful place. What a nice opportunity, to enjoy your wonderful seminar and also, visit different places. I'm already making affirmations that at some point, I will participate in one of your seminars (even if I need to go to US for that). Love you. Thank you 😍　I also wanted to go. I’ll join you next year!! Y’all have fun!! Love you all!! I’ll be on the next one ! I live on Tortola...will you be coming here? I so wish I could meet someone of like mind!!! Oh, that looks so inviting. I was in the Caribbean cruise about 10 years ago. Different cruise line. That was my first and about my favorite vacation. Thank you for sharing. Looking forward to the Mediterranean one this year. ❤️🙏💞. looking forward to Alaska 💖. was wondering how many hours of seminar there will be during the week? That is my favorite ship!!!! What a beautiful sign. Thank you. I went 2 years ago and it was amazing! Oh my gosh ... I so want to go!!! The cruise looks amazing beyond words!!! Wallace Wong check this out!!! Pretty, what's the name of the ship? Beautiful! Some day I hope to join you! Thank you universe for surprising and delighting me with the gift of a ticket for Asheville. I love my life and how it's always getting better and better! Is LOA like a mirror? My latest surprises: I stare at pictures of Dele Ali the footballer-2 days in a row keep seeing someone who looks exactly like him-staring at picture of Tyler Perry-yesterday almost bumped into someone who looked like him,he smiled like he recognized me,and I was about to say Are you Tyler Perry I LOVE your work. Yesterday wrote down must have 1000 dollars over and over,sit down less than 24hrs. later, for lunch people next to me having conversation about collecting money for a project, and one of the girls must have said 15 times All I need is a thousand dollars. LOL It's all so weird and wonderful. Sometimes I feel I am directing the series of events,that I totally forgot about. I have such an important question. I have always wondered why I am Still here after almost dying when I was about 9 months old. I had meningitis and then double pneumonia and was in the hospital for at least a month in 1955. My parents were told to come to the hospital and say their good-byes. Back then they didn't have the resources they do now. I made it through but I remember what the nurse looked like, the smell of the hospital and the plastic they put around my bed, but most of all I saw the nurse from above my bed! As I grew up I wondered about life and WHY I made into this life. My question is: how do we as babies know how to move forward after that? I feel different from other people and always have and was VERY shy but have learned to open up. YOU have taught me So much and I understand the universe so much better. Any South African trip on the cards for the future? Is it possible to get on a waiting list for cruises in 2020? There is great love for you here in Charlotte NC. Please stop here. We are all set for June 15th!! My wife and I are beyond excited for this incredible pocket of time ahead! Australia would be fantastic Abraham, !! Please come to Vancouver BC Canada!!! Do you ever come to Canada... Toronto? I’m considering driving the 10 hours... to Chicago ...but only for one day and a few hours doesn’t seem worth it.... thoughts? If you are ever fortunate enough to have the opportunity to see Abraham in person, I can attest it’s a very wonderful experience. In November 2014, I had the opportunity to see Abraham in Atlanta for the first time. I was really nervous, and had watch many videos, but I never understood the sense of well-being one gets by being around a group of people who have such well-being in them. Abraham’s workshops generally cost about $225 for experience, which while I feel is a bit pricey, if you can afford it, it is money well spent. I understand there is a cost in hosting these workshops and traveling around the county and around the world doing a workshop almost every other weekend all-year long. I just wish the price was a little more reasonable, like $125 to $150. 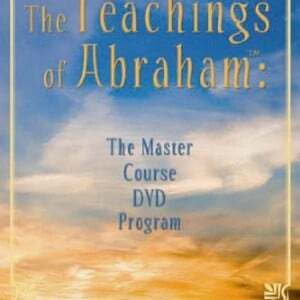 I am thankful that if you are looking to learn more about Abraham and their teachings, there is so much free content that is provided on the internet, especially via YouTube and other fan sites. Check out the video below by Lana Shlafer, she describes this experience well.